A Carnival Cruise Line vacation, anyone? What will you do with that week off? How about booking a family vacation with Carnival? If you are looking for a fun family vacation that includes excursions to the beach, probably a chance to swim with dolphins, or go scuba diving in some of the finest locations in Grand Cayman, the buck stops with Carnival. Let us face it. You can choose to spend your week on land and having to worry about food and entertainment, or you can choose an all-in-one vacation with everything thrown in. The bottom-line is that a vacation should free you from any worries while you are relaxing. If you agree, then your choice is definitely a family cruise getaway. Book a cruise, embark the ship, and the rest of your vacation week is fun in the sun. 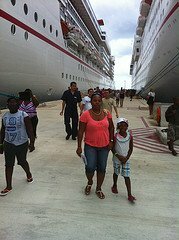 If you are looking for a cruise line to do that for you and your family, your best bet is Carnival Cruise Lines (CCL). It was originally an independent company established in 1972 by Ted Arison. Currently, it is a subsidiary of Carnival Corporation, a British-American owned company based in Florida, which operates a number of different cruise lines. These include Costa Cruises, Holland America, and Princess Cruises. Carnival is now the world's largest corporation in the cruise industry. CCL was the first cruise line to introduce the concept of cheaper and shorter cruises. Although its ships fall short of the luxurious fleets of Celebrity Cruises or the Silversea vessels, Carnival is popular and profitable. Because of this concept (cheaper and shorter), they have been able to produce larger ships, which started with the launch of the Carnival Destiny in 1996 (now Carnival Sunshine). Destiny then displaced an estimated 101,000 tons, making it the largest passenger ship in the world, rivaling aircraft carriers for size. 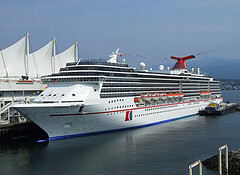 However, Carnival no longer holds the title for the largest ship. That honor goes to Royal Caribbean with its Oasis class ships: Oasis of the Seas, Allure of the Seas, Harmony of the Seas and Symphony of the Seas. Carnival largest ships weigh in at about 130,000 tons, while Royal Caribbean's at over 200,000 tons. 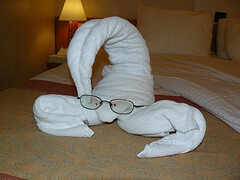 CCL is also known among its passengers for their towel animals. Their trademark is a funnel with the combination of red, white, and blue colors and shaped like a whale’s tail. CCL’s mascot is named as Fun Ship Freddy, a character in the shape of the Carnival funnel. Carnival's ships are dubbed the "Fun Ships," and provide every ounce of fun to keep you going back for more. A cruise with CCL is an excellent way to treat yourself. After unpacking your stuff inside your cabin, you can take a tour inside the cruise ship. There are fitness and beauty experts on-board that offer massages, saunas, hair care and style, and facial treatments. 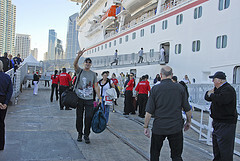 There are also complete relaxation and fitness programs for your regular workout while aboard the cruise ship. If you are a music-loving person, then a Carnival cruise is perfect for you. Aside from its digital sound system in public areas that plays different genres of music, there is also a sing-along piano for you to hum with. You can also find sing-along machines in bars and lounges in case you want to show your prowess in singing. You will always find several musicians around each ship. Hang out with them, sing along, and enjoy the music. 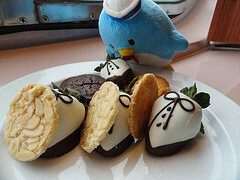 Carnival also offers different dining experiences on-board. Highlights include a casual dinner at Sea View Bistro, a round-the-clock pizza parlor, Captain’s cocktail party, and formal evening meals in the main dining rooms. If you are looking for some entertainment, there is a Las Vegas styled casino, a gaming center where you and your kids can enjoy playing video games. There is also an on-board theater featuring different movie genres—from classical to the modern Hollywood. There are also cultural and musical shows scheduled every other night. CCL also provides activities for your kids. It is just as if they are having fun during Easter Egg Hunt holiday. CCL on-board counselors supervise the Camp Carnival Kids Program with all kinds of games, parties, movies, and educational activities. You do not have to worry about your kids as the counselors who supervise them have professional childcare experience handle them. I guarantee, that with their vast amenities and many Fun Ships to choose from, are you bound to have fun sailing with Carnival Cruise Line. See two Carnival cruise brochures for more information. 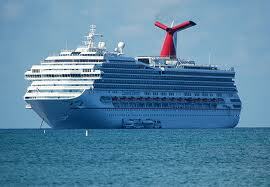 You may also be interested in how to find Carnival cruises deals.